Kerry Carl Rizer peacefully passed from this world on June 23, 2018, at the age of 80. Following many months of medical treatment, Kerry’s family members were grateful and honored to be by his side when the Lord welcomed him home. Kerry was born on May 22, 1938, to Carl and Dorothy Rizer of Wood Center, Iowa. He grew up on the Rizer family farmstead, where he fully embraced life as a farm boy. The daily milking chores, seasonal crop management, and “neighboring” with other area families all helped to prepare him for life as a dairyman and for ownership of his own farm. In 1959, Kerry married Anna Marie Lee of Edgewood, and he went to work at Square D in Cedar Rapids. In 1962, they purchased and began operation of a dairy farm east of Strawberry Point. Together, Kerry and Anna had three children, Norman, Jill, and Darrel, and continued their milking operation for the next 33 years. During their years on the farm, Kerry enjoyed hosting family celebrations, card parties with East Country Club friends, tractor pulling, 4-H activities with his children, and serving as a director at AMPI. Later in life, Kerry and Anna managed the Super 8 motel in Manchester. Following retirement in 2006, he and Anna returned to the farm for 6 more years before selling it and purchasing a home in Strawberry Point, where Kerry enjoyed yardwork, fishing, hunting, and family gatherings. He and Anna were finally able to find time to travel and enjoyed cruising to Panama as well as the Hawaiian Islands. 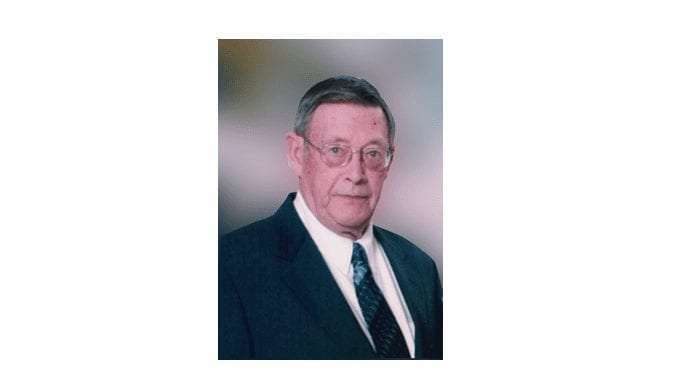 He was an active member of the United Methodist Church. As a husband, father, farmer, and friend, Kerry wore many hats, but one of his greatest pleasures was fulfilling his role as Grandpa Great. Visits from his grandkids and great-grandkids always brought a smile to his face and often brought tears to his eyes. Family pride and commitment is Kerry’s legacy, and he never failed to ensure that all family members were aware of his love and support. Even as his health failed, he never voiced regrets or expected special favors. To the end, Kerry’s thoughts always reflected his deep love for his children, his appreciation for his grandchildren, and his unwavering devotion to his wife. Kerry was a very good man, and he will be missed by many. Kerry is survived by his wife Anna; two sons, Norman (Joan) Rizer and Darrel Rizer; one daughter, Jill (Jerome) Rinken; granddaughters Jayni (Luke) Schissel, Johnna (Matt) Samson, Carleigh Rizer, and Cassie Rizer; grandsons Nic (Brandy) Rizer, Cale (Laura) Rizer, and Jordan Rinken; great-grandchildren Dominic Rizer, Roman Rizer, and Cameron Kerry Rizer; one sister, Carlene (Cletus) Reinhardt; a brother-in-law, Lawrence Lee; two nieces, Darcy Coberly and Trista Sauser; and a nephew, Kirk Reinhardt. Kerry was preceded in death by his parents, his mother- and father-in-law, Voretta and Henry Lee, brothers-in-law, Jerry and Frankie Lee, his daughter-in-law Melissa Rizer, and several aunts and uncles. Funeral Service: 10:30 a.m., on Thursday, June 28, 2018, at the United Methodist Church in Strawberry Point, Iowa. Visitation: 4:00 p.m. to 8:00 p.m., on Wednesday, June 27, 2018, at Leonard-Muller Funeral Home in Strawberry Point, Iowa. Friends may also call one hour before the service at the church on Thursday.